Dr. Sarah Bowers received her undergraduate degree from the University of Findlay and her Doctorate degree from The Ohio State College of Veterinary Medicine in 2008. After graduation, she moved back to her hometown of Dayton, Ohio to practice veterinary medicine. She was excited to finally return back to Columbus in 2010. She has been practicing at The Vet Clinic East ever since! She is a proud member of both the American Veterinary Medical Association and the Ohio Veterinary Medical Association. Her professional interests include feline medicine, ophthalmology, neonatal medicine, and forming close relationships with her patients and clients. In her free time, Dr. Bowers enjoys caving, hiking, reading, and scrapbooking. Dr. Bowers and her husband welcomed a daughter in 2013 and are expecting their second child in August 2015! They share their home with 2 dogs and 3 cats. 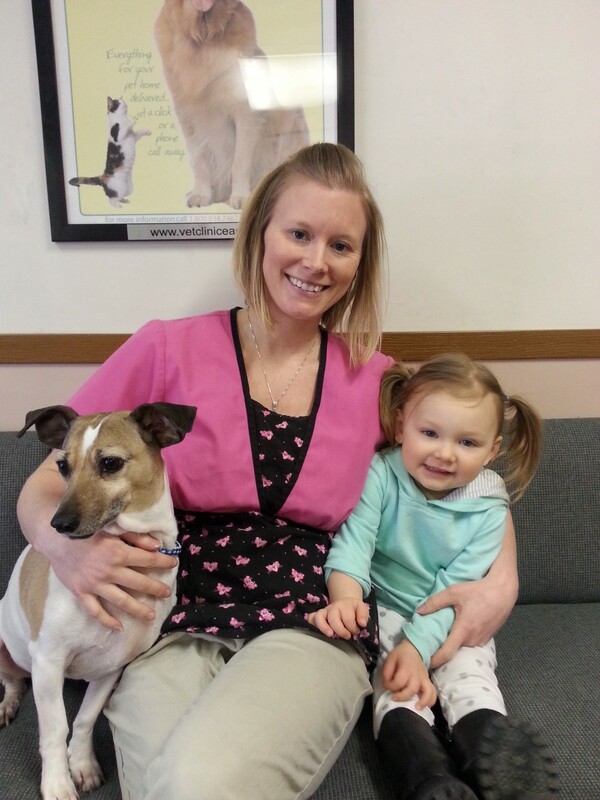 Dr. Bowers would love to meet you and your pets. Please stop by anytime to get to know her!